“Store and share documents and knowledge on your intranet”. How are you communicating? 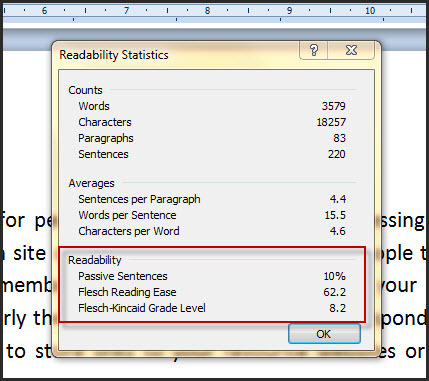 Ever heard of the Flesch Reading Ease Test? In the business world you want your Reading Ease score to be between 60 and 70. It basically measures how easy a document is to understand. Wanna know how your documents rate? 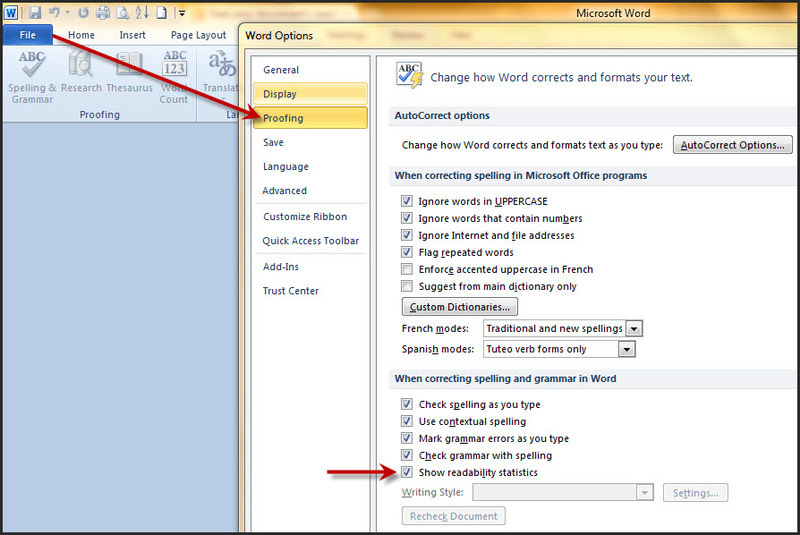 Activate the setting in Word and find out. Then run a Spelling and Grammar test. And at the end you will be given the stats and scores. Cut the BS, people can see straight through it anyway. Just tell it like it is. And if you ever catch me waffling again, karate chop me! 78.2 was the score Word 2007 gave me for my short sentence. Use action words and verbs at the beginning of sentences.